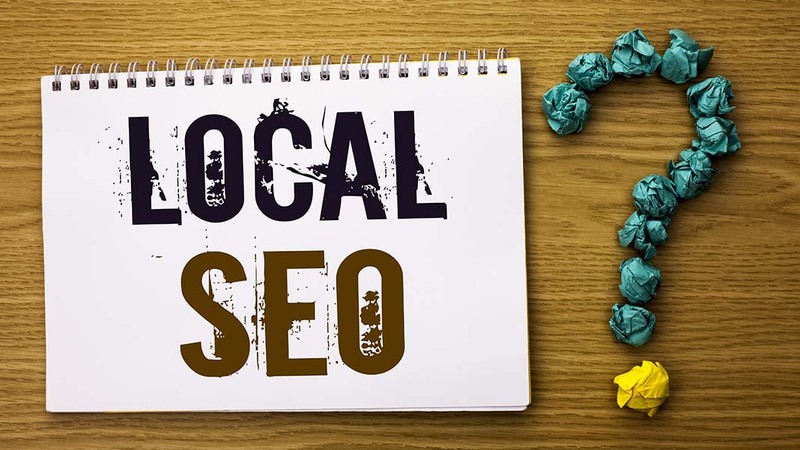 Six tasks in that make local SEO an ongoing process. We’ve been in the Search Engine Optimization business for several years now. Occasionally, we get a call from a SEO client we helped several years ago. The call goes something like “Our rank on the search page has dropped. Can you do a couple things to get it back up?” Well, yes, we could but it may not help and if it does help, it won’t be for long. There are one-off strategies that will help a website rank higher. One of them is changing a site over from http to https. That’s a one-time task although the SSL certificate attached to the https has to be renewed periodically. Another is alt tags in images. Images are what they are, you don’t willy-nilly change an alt tag unless you change the image. But there are many local SEO processes that are ongoing must be repeated again and again. Making sure content is updated and relevant. One thing is certain in today’s world, everything changes fast. What was important yesterday is trivial today. Just as today’s new gadgets were virtually unheard of 3 years ago, much of the stuff we’ll be talking about in 2022 hasn’t been invented yet. Rapid change is affecting all industries and your website has to keep up with the changes. The days of “build it and forget it” are over. You have to add content to your website and delete the old or obsolete. Making consistent additions to GMB page. It is Google’s intention to make voice search a reality. To do that, Google needs a treasure trove of information in its own platform to provide quick, accurate answers in a voice search. They are adding that information primarily through local business GMB pages. That is why it’s important now to get the right information uploaded and add to it consistently. Google image searches and posts are becoming more important than ever in helping local businesses climb higher in the searched. According to Moz, an active GMB page was among the top-ranking factors in 2018. That won’t change. When we take on a new client one of the first things we look at are links. We’re happy when we see a client has a lot of inbound links. That happiness turns to dismay when we discover that the links have been broken. Usually, it’s due to a mention in an article that the linking website has taken down. Sometimes it’s from a business partner that redid their website and chose not to include the linking page in the redesign. Regardless of the cause, links that go nowhere need to be fixed or deleted on a regular basis. Keeping up to date with site speed. Site speed has a direct, measurable impact on website engagement. According to Yottaa, for a website that takes more than three seconds to load, 40% of visitors will abandon a website and 80% of those visitors won’t return. Further, last August Google switched to mobile first indexing. This means that Google ranks websites based on how they appear on mobile devises. This gave responsive design and site speed added gravity within the ranking algorithm. Since many sites have already been upgraded for speed and responsiveness, those that did not are being left behind. And yes, technology is always changing so webmasters must stay on top of changes to keep up. Making sure the site is operating optimally. Maintaining your website can be complicated. Upgrading one piece may mess up another. This is often the case with WordPress websites. When a WordPress platform is upgraded, plugins don’t always function within the new platform. That is why if you have your WordPress site is upgraded automatically you must ensure your plugins are compatible with the new version. Java script often updates as well and can cause compatibility issues. Make sure information is kept current in local directories. This is a piece of the local SEO puzzle that is ignored most. Few business owners give local directories a single thought. If they know about the importance of directories, it’s only because some salesperson came calling and offered to upgrade the directory for a fee. After time passes, these things occur: the directory itself adds your business with incorrect information; someone, often a competitor, suggests changes to your information in the directory that is false, and the directory accepts it as true; you move your company and don’t update the directories with new name/phone number. Local SEO is a difficult, complicated process that has no end. For a competitive industry and market, it’s a full-time job. With voice search becoming more prominent by the day, the time to get local SEO right is now. You can do it yourself but hiring a local SEO expert is money well spent. For more on how a local SEO company can help, check our page on Local SEO.